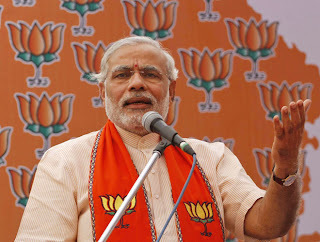 Bhartiya Janta Party (BJP) announced campaign committee headed by Gujarat CM Narendra Modi includes senior leaders such as Murli Manohar Joshi, Sushma Swaraj, Arun Jaitley, M Venkaiah Naidu, Nitin Gadkari as well as Chief Ministers of BJP ruled states such as Shivraj Singh Chouhan (Madhya Pradesh), Raman Singh (Chhattisgarh) and Manohar Parrikar (Goa). The party also formed 20 campaign panels for efficient management of upcoming Lok Sabha elections by focusing on aspects such as rallies, manifesto, vision document, social media, publicity, youth and many more. Entire process reiterates growing importance of NaMo factor in BJP. The team would work under the guidance of Atal Bihari Vajpayee, L. K. Advani and party president Rajnath Singh.